The Southland Symphony Orchestra,Dr Sylvia Lee Mann, Music Director and Conductor, is pleased to present "Classical Romance"
featuring Mendelssohn's "Hebrides" Overture (Fingal's Cave) and Beethoven's Symphony No 2. A special recital to bid farewell and good luck to a graduate of CSU Dominguez Hills, Anthony Almendarez, trumpet. Performers also include alumni from CSUDH (Lulu Aguilar) and several faculty members from the university: Dr Richard Kravchak, oboe; Mary Au, piano, Dr. Sylvia Lee Mann, viola, Dr. Sally Etcheto, voice. Music of Dvorak, Vaughan-Williams, Haydn and more. The COSB is now "subscribed-out" for its 2010-11 Season at the Norris Center. Single Tickets will be available through a Waiting List at the Norris Center Box Office, 310-544-0403 (for details, go to Tickets screen.). Please visit the Schedule screen to see our concert dates,outstanding soloists and repertoire, to make your choice for Single Tickets. Since the orchestra’s performing home is Veteran’s Memorial Auditorium, we try to honor this nation’s Veterans when our concerts fall near Veterans Day, November 11. With this concert two days after the memorial holiday, the Veterans theme seems very appropriate. So we remember the Veterans who have served in this country’s armed forces with a Medley of the Themes for the United States Armed Forces. Cellist Peter Myers is a Winner of the Orchestra sponsored Parness Young Artists Concerto Competition, and is the featured soloist in the Cello Concerto of Robert Schumann. The orchestra celebrates the bicentennial of Schumann’s birth with this work. Conductor Fetta worked with Igor Stravinsky. We perform Stravinsky’s popular Pulcinella Suite to continue our ongoing relationship with this titan of 20th Century Music. While there is no admission charge to attend this concert, donations and membership to the Westchester Symphony Society, Inc. are welcome, and indeed, greatly needed. Members of the Westchester Symphony Society are entitled to a pre-concert talk given by Maestro Fetta and to reserved concert seating. Membership is available at the concert. The Westchester Symphony Society, Inc., presents The Culver City Symphony Orchestra, and produces the Parness Young Artists Fund Concerto Competition. This performance is supported, in part, by the Los Angeles County Board of Supervisors through the Los Angeles County Arts Commission. Dr. Richard Kravchak will be performing and describing solo works for both baroque and modern oboe by Handel, Berio, Mozart and Pacsulli. A special feature is that you will be able to vote on which work represents the "golden age of the oboe" on your cell phone during the concert! Admission is $5.00 for the CSUDH Community, students, and seniors, and $10.00 for all others. See the Campus Map for a closer look. When you arrive on campus, we encourage you to stop by the Visitors Information Center located in Room D-245 in Welch Hall. Listed below are directions for reaching our campus by car. Our campus is located within five minutes of the 91, 110 and 405 freeways, which makes travel to campus convenient no matter where you are coming from. If you are coming for an athletic event, please enter through the University Drive entrance. 110 South - Follow the Harbor Freeway (110) to the Artesia Freeway (91) east to Avalon Blvd. Take Avalon Blvd. south to Victoria Street, turn left. The entrance to campus is a right turn at Tamcliff Avenue. 10 East - Follow the Santa Monica Freeway (10) east to the San Diego Freeway (405) south toward Long Beach. Exit at the Vermont Avenue off-ramp. Turn left (east) at the end of the off-ramp onto 190th Street. Follow 190th Street east for approximately two miles to the campus (190th Street becomes Victoria Street). The campus entrance is a right turn at Tamcliff Avenue, the second traffic signal past Avalon Blvd. 405 South - Follow the San Diego Freeway (405) south toward Long Beach. Exit on the Vermont Avenue off-ramp. Turn left (east) at the end of the off-ramp onto 190th Street. Follow 190th Street east for approximately two miles to the campus (190th Street becomes Victoria Street) The campus entrance is a right turn at Tamcliff Avenue, the second traffic signal past Avalon Blvd. 5 North - Follow the Santa Ana Freeway (5) North to the Artesia Freeway (91) west toward Redondo Beach. Take the Central Avenue exit and turn left; turn right onto Victoria Street. The campus entrance is a left turn at Tamcliff Avenue, a traffic signal. 405 North - Follow the San Diego Freeway (405) north toward Los Angeles to Avalon Blvd. (north) off-ramp. Take Avalon Blvd. north (right) to Victoria Street. Turn right (east) onto Victoria Street. The entrance to campus is a right turn at the next traffic signal, Tamcliff Avenue. 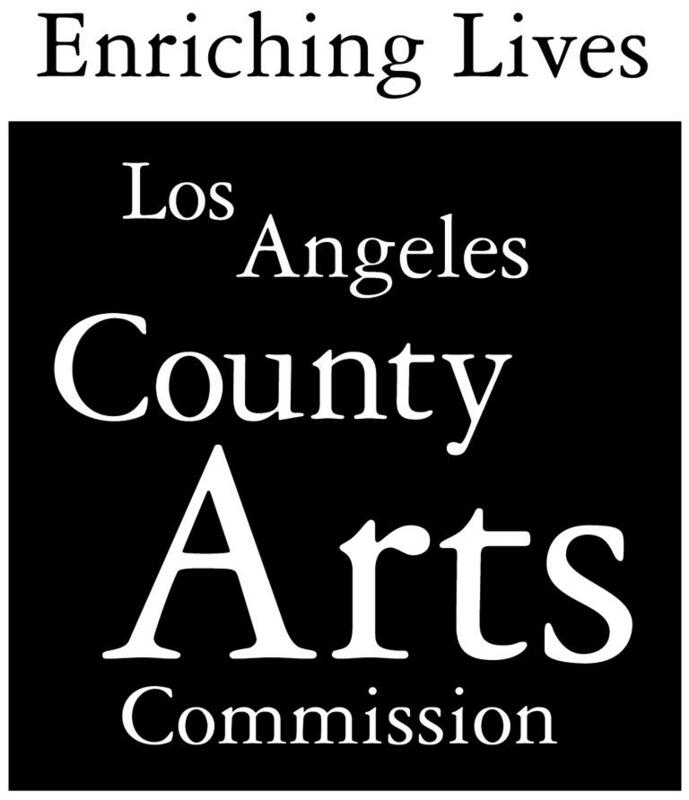 the Los Angeles County Arts Commission. This overture, composed for the Chinese New Year (Spring Festival) in 1955-1956, depicts a scene in the Shanbei region . Widely heard in Mainland China, it is used for many festive occasions and in Chinese school music textbooks. Violinist He Zhanhao composed this concerto while attending the Shanghai Conservatory in 1959. In three movements, it incorporates Chinese folk music with western classical technique. It is based on a legend known as China's "Romeo and Juliet," with the doomed lovers being resurrected as butterflies. Because of government suppression, it was banned until 1977 when it was performed and declared to be the most popular music work by a Chinese composer. This symphonic suite, composed in 1888, is based on The Book of 1001 Nights (sometimes known as The Arabian Knights). It is a tone poem with dazzling and colorful orchestration and eastern influence and is considered to be Korsakov's most popular work. The four movements are an oriental narrative of fairy tale wonder. The movements are unified by a solo violin leitmotif that is a tender and sensuous melody appearing as an introduction to each scene. Simple melodies and rhythmic patterns with colorful soloistic writing are powerful combinations that continue to delight the listeners. This music, from the 1941 ballet, Gayane, evokes an Armenian whirling war dance and displays the dancers' use of sabers. The exciting rhythm and popular melodies have been used by many popular musicians and heavy metal, punk-rock bands as well as by the film and television media. The National Hockey League Team, the Buffalo Sabres, adopted this music as their theme song. You don't have to go round and round the block looking in vain for that non-existent parking space. Just go 4 blocks east from the Auditorium on Bailey St. to Comstock Ave. Turn either right or left for 1/2 block and park in either of the two city parking lots. A 15 passenger van (provided by the City of Whittier) will pick you up every 5 minutes and drop you off right in front of the Auditorium. After the concert is over, the van will take you back to the parking lots. Just look for the "Tram Stop" sign in the parking lots. The vans begin picking up passengers at 2 pm. The map below shows you right where to go. Now - Special Limited Premium Seating available for purchase! Our Citrus College Haugh PAC Ticket sales are processed through TIX.COM - if you have one of our special codes, select all your tickets, and enter the code on the order form (any discount will be applied). 47th Season with a concert, Spring Break, Music for String Orchestra, on Saturday, April 3, 8 p.m. at Veteran’s Memorial Auditorium, 4117 Overland Avenue, Culver City; at the corner of Culver Boulevard and Overland Avenue. Free parking is available. membership to the Westchester Symphony Society, Inc. are welcome. pre-concert talk given by Sylvia Mann and to reserved concert seating. produces the Parness Young Artists Fund Concerto Competition. Gabriel, and now Culver City. Frank Fetta is the Music Director. The Westchester Symphony Society, Inc. Morning worship service - including wonderful music by the mighty UUCSC choir! Meet the Maestro, 7:00 PM preconcert talk with Maestro Fetta, open to Symphony Society members only. Membership is available at the concert. There is no admission charge for this concert. Some seating is reserved for Symphony Society Members, and the rest is open seating. Marsee Auditorium, El Camino College,16007 Crenshaw Blvd. Paul Revere Middle School Auditorium 1450 Allenford Ave. Morning worship service - including the beautiful "Journey in Peace" and more wonderful music by the mighty UUCSC choir and special guests! Opening Concert! “Symphonic Landscapes” Guest Conductor -- Brian Asher Alhadeff Co-sponsored by Boeing CA E.C.F. Huapango -- Jose Moncayo Huapango is a collection of three dances from the folk music of Mexico. The three huapango styles evoke moods that range from elegant charm to outrageous humor, haunting lyricism to the menacing horror of savage ritual. Piano Concerto No. 2 in C Minor -- Rachmaninoff Robert Thies, Piano Probably his most popular work, Rachmaninoff wrote his second concerto after long periods of depression. It was dedicated to Dr. Nikolay Dahl, who helped the composer revive his spirits. It premiered in 1901 with the composer at the piano. Symphony No. 8 in G Major -- Dvorák This work has striking pastoral characteristics. It has many charming, infectious melodies filled with folk-derived themes, alternating between major and minor tonalities. The Mighty Choir of UUCSC and special service music. The Cypress Pops Orchestra performs it's final concert of the 2008 summer series - "On the Green" at the Cypress Civic Center. "AMERICA, AMERICA" The POPS ends their 20 years of music-making with orchestra arrangements of popular American composers like Copeland, Bernstein, Gershwin, and Gould. Featuring music in honor of the International Children's Day (proclaimed in Geneva in 1925). This year we present "Song for a Russian Child". New music for Mother's Day! A very special covenant renewal Sunday. featuring special guest musicians for a celebration! Music by Cy Coleman, Sylvia Mann(yes that's me) and others! Warner Grand Theatre 478 W. 6th St. Winners of the 2007 Parness Fund Young Artists Concerto Competition, Junior and Intermediate Division Anne Lee-Violin, Tchaikovsky Violin Concerto Niv Askenazi-Violin, Lalo, Symphonie espagnole Jonathan Tsai-Piano, Saint-Saens, Piano Concerto No. 2 Additional orchestra selection to be announced. The Los Angeles Camerata, under the direction of Dr. H. Mitzelfeld. Famous orchestral selections with Metropolitan Opera’s leading baritone, Richard Fredricks (specific numbers to be announced). You are also welcome to attend a pre-concert Lecture in the main auditorium starting at 7:30 p.m. This will be the second concert of the 58th season year. Admission is always free and no reservations or tickets are ever required to a BCS concert! Even on campus parking is free! Handel: Entrance of the Queen of Sheba from "Solomon"
Forest Lawn’s annual celebration of the life and legacy of Dr. Martin Luther King, Jr. will take place on Sunday, January 13, 2008, at Forest Lawn-Hollywood Hills. This year’s program will be highlighted by keynote speaker, Los Angeles City Councilmember Bernard Parks; a stirring musical tribute by the Southeast Symphony Orchestra, accompanied by a choir of more than 60 voices; Chris Schauble will serve as the Master of Ceremonies and Reverend Eric P. Lee, President and CEO of the Southern Christian Leadership Conference of Greater Los Angeles will deliver the Invocation. This week's service is our annual remembrance of the lives and legacies of people of public fame who passed from our midst in the year just ended. In poetry, music, and personal recollections, we will recall those who, for good or ill, made a public imprint on our lives. This week's music will include music from Verdi's "Rigoletto", Mascagni's "Cavelleria Rusticana" and some special jazz piano renditions by our own Malcolm Langan in honor of Oscar Peterson. The choir will be singing Douglas Wagner's "Beyond the Rain and Rivers" - a tender, moving musical look at the journey beyond. After last year's successful performance at the LA Art Commission's "Holiday Celebration" at the Dorothy Chandler Pavillion, GSPO has been invited back to offer more holiday cheer. A select group of musicians from the symphony will be teaming up with members of the Southern California Master Chorale to perform two songs from the CD "50 Most Loved Christmas Carols". Don't miss the festive event, live on PBS on Christmas Eve. Our performance time is around 3:40 - see you there! Special music for our Traditional Christmas Eve Service, featuring our choir and instruments. Beautiful music for our morning worship service - featuring our choir presenting a moving setting of "Let All Mortal Flesh Keep Silence", and soprano soloist Lindsey Black will sing "Rejoice Greatly, O Daughter of Zion", from Handel's great oratorio, "Messiah". The tradition continues as GSPO brings more seasonal joy to the Los Angeles community with holiday favorites...and of course, snow!!! I'll be playing in the orchestra for the annual Advent/Christmas season musical program at this beautiful church. This is their "Gala Christmas Concert", featuring Adult and Youth Choirs and Handbells, Sing-along Carols, and Joseph Martin's Canticle of Joy. The music Director here is Jean Gothold. Conductor H. Vinvent Mitzelfelt leads this marvelous group - well worth attending! I'll be performing with the Orchestra in the Camerata's holiday concert - Messiah and more! Cesar Chavez/State Street Los Angeles - right across from The White Medical Center - off the 10 Freeway at State Street. Featuring Peter Stumpf, principal cellist, Los Angeles Philharmonic Orchestra. William Bristol Civic Auditorium: 16600 Civic Center Dr.
Joseph Taylor will conduct the orchestra in the Mendelssohn Violin Concerto, Saint-Seans Cello Concerto, Vivaldi's concerto for Violin and Cello, and Mendelssohn's Symphony #4. I'll be conducting the orchestra in Beethoven's Overture to the Ballet, "The Creatures of Prometheus"
It all happens @ Marsee Auditorium, El Camino College Center for the Arts campus, . You are also welcome to attend a pre-concert Lecture in the main auditorium starting at 7:30 p.m. Admission is always free and no reservations or tickets are ever required to a BCS concert! Even on campus parking is free! Tonight’s concert will open with the melodic Rosamunde Overture by Franz Schubert who was considered to be a genius among the early romantic composers. Centerpiece of the evening will be the fresh and new Triple Flute Concerto by Joseph M. Russo performed by our own La Mirada Symphony Flute Section: Joan Cain, Principal, with Laura Scott and Brad Cain. Alexander Borodin’s bold and colorful Symphony #2 in B Minor, considered to be “the Symphony of the Century”, will bring the concert to a close. Leslie Lashinsky, Bassoonist who toured the world with Zubin Mehta, Leonard Bernstein and Esa-Pekka-Salonen, will perform the 'Andante and Hungarian Rondo,' Op. 35, by Carl Maria von Weber; and Jon Titmus, Principal Horn with the Brentwood-Westwood Symphony, Los Angeles Master Chorale, Los Angeles Opera and the Los Angeles Chamber Orchestra among others will play the 'Horn Concerto No. 4 in E-flat Major' by Mozart. Maestro Alvin Mills will conduct 'Sheherazade' by Rimsky-Korsakov. This program is dedicated to Stanley Lefcourt whose devotion and dedication to our community will always be remembered. The Rio Hondo Symphony, under the direction of conductor Wayne Reinecke, performs four admission free classical music concerts each season at the Vic Lopez Auditorium at Whittier High School, Whittier Ave. in Whittier California. The concerts start at 3 PM, have one intermission, and are completed before 5 PM. Music for the morning service. Features the UUCSC Choir and instrumental music. Choral and instrumental music for the Sunday morning worship service. Come check it out! This week welcomes back the Mighty Choir, after our well deserved "break"! Featuring the choral anthem, "We Will Be a Shelter for Each Other" words by Tom Long, in a beautiful musical setting by Allen Pote. Also, this week's other music will feature some tunes from the new CD. "Enchanted Dreams", and some wonderful music by our own Sandy Gunn! Come hear our great music at UUCSC! The UU Church of Studio City is located in Studio City, CA, on Moorpark Street, between Laurel Canyon Blvd and Whitsett St.
At the majestic, historical Warner Grand Theatre in San Pedro, CA. (Corner of Pacific Av and 6th St. in San Pedro.) Hear the heart-thumping music for our "Super-Heros Concert" Superman, Spidey and more! Teriific Choral performance of Vaughan Williams' "Dona Nobis Pacem" and Haydn's "Mass in Time of War"